Bitten by Romance - Book reviews and more : Indie Romance Convention attending author A.L. Kessler talks about last year con. 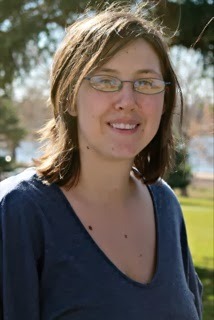 Indie Romance Convention attending author A.L. Kessler talks about last year con. 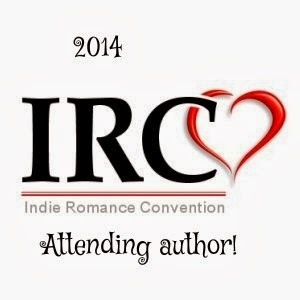 I signed up for Indie Romance Convention on a whim and then I asked for attending author status on another. As a new indie author I had no real idea what I was doing. I’d read every article I could get my hands on I talked to local authors, mostly hybrid authors, and I still felt like I had no idea. Every author does things differently in the indie world, but there is so much we can learn from our fellow authors. IRC gave me the chance to, not only, sit down with other authors but readers and I came home with so much information. Gosh, where to start on what I learned? My head was so full I thought it would explode when I got home. In every writing marketing article and book I read the first piece of advice was: Write a great book and then write the next one! Which is true, many of the authors I talked to or attended panels with said things really started taking off around their third book. I thought some of these people were nuts, they were writing and releasing so many things in a year, but I had been looking at it wrong…This is the world of Indie, not big publishers. If you don’t constantly release things, you fall out of sight and out of mind. Marketing was spoken highly of and a lot of helpful tools were mentioned, most of which cost money, but as many of the authors pointed out, at times you need to spend money on marketing if you want your name out there. On that note, cross promotions were also highly spoken of. There are so many different ways to take this information and apply it to your writing life. Pricing! Did you know that the majority of indie authors are under pricing their work? No? I didn’t either until I attended this convention. Covers were also discussed in depth. What to do, what not to do, what to look out for and things to keep in mind, again so much information that I thought my head would explode. Editors were covered as well, one author said she used an average of five for final edits to cover all typos and grammar mistakes. There really is too much to cover in a blog post, but I want to touch on one more thing. Sitting down with the readers was one of the most valuable things there. I’m not talking about the book signing, I’m talking about the pizza gathering were we all mingled. It was great to sit down and talk to readers, even if they haven’t read my books. Most authors didn’t approach it as an ‘I must sell myself’ event, but sat down as friends with the readers. You can learn so much by speaking to the readers and the bloggers. I even gained a beta reader this way. Just be open-minded and understand that you do not know everything. The first thing that I told my husband when I got back was, “I have to go again next year. I learned so much.” He’s always yapping about ‘return on investment’ and after sitting down and talking he realized it really was worth it. I’ll be going again this year and I encourage you to as well. There’s nothing more valuable than a convention aimed towards indie authors when you are an indie, or a hybrid author. I look forward to seeing everyone again this year, making new connections, and learning more to better myself as an author.